Get the Free Meal Prep Recipe Guide! Wanna start eating clean but don’t know where to start or how to find the time? I got you. Plus, you’ll get access to all my awesome content and direct access to me (in case you ever have any questions or anything). Thanks! Your meal plan is on it’s way! I'm the Head Wellness & Accountability Coach and founder of Health on the Rocks (HOT’R). I'm also a Precision Nutrition ProCoach, certified personal trainer, yoga instructor, and life coach here to get you into the best shape of your life. I help you cut the crap and find balance in your wellness routine, so you can get off the "healthy living roller coaster" and achieve results that actually last for more than a few months. "Being fit is 30% physical (knowing what to eat and how to workout) and 70% psychological. This is why accountability is so important." Accountability means taking responsibility for and control over your decisions and your life, and that's a process that needs more care and attention than simply "eat this, workout like that." This is the HOT'R difference: customized accountability coaching. 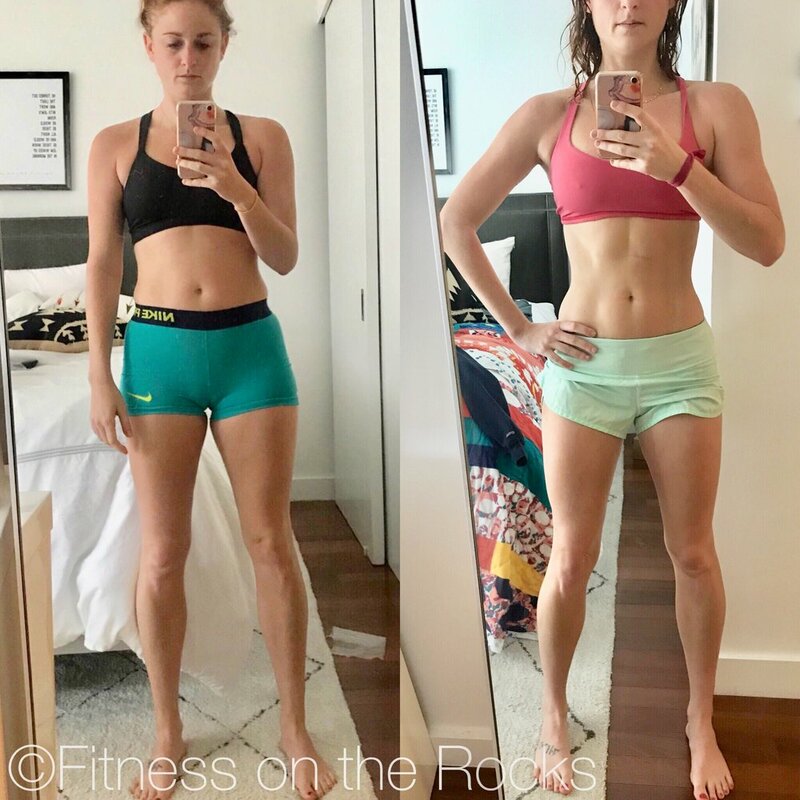 Feel like you've tried a million diets and/or fitness programs and they never seem to stick? I feel your pain. That's why my program is different. My program doesn't simply teach you how to be healthy, it teaches you how to be accountable to being healthy. My 4 Pillar Approach ensures clarity, efficiency, and, most importantly, accountability, so you can be stronger, healthier, and Health-On-The-Rocks HOT'R. Instructional videos and step-by-step guides ensure confident workouts, whether you're at the gym or at home. And around here, efficiency is everything! No more hunger or deprivation. 83% of dieters end up heavier than before. Why? Because every fad diet in the world is fundamentally flawed. Our nutritional approach is deeply rooted in science and guaranteed to get you results that actually last. High-reward, bang-for-your-buck lifestyle tweaks produce extreme results with the least amount of effort. Our strategic combination of change psychology, metabolic physiology, and nutrient biochemistry integrate easily into your busy life. This part is the scariest but also the most profound. Constant communication, daily updates (outlining exactly what to do each day), and deep dive coaching sessions ensure you stay on track no matter what. 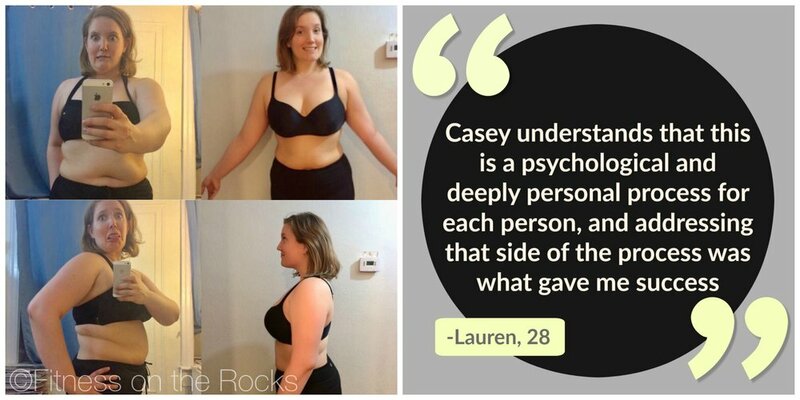 “Casey understands humans and mistakes and imperfection (in our choices and bodies). She is not seeking to make you into the perfect swim model, just to empower you to make better choices. In this program, I was able to break my baked goods addiction and get in great shape. “I recently had a baby, I have a two year old, and I’m currently a stay at home mom. 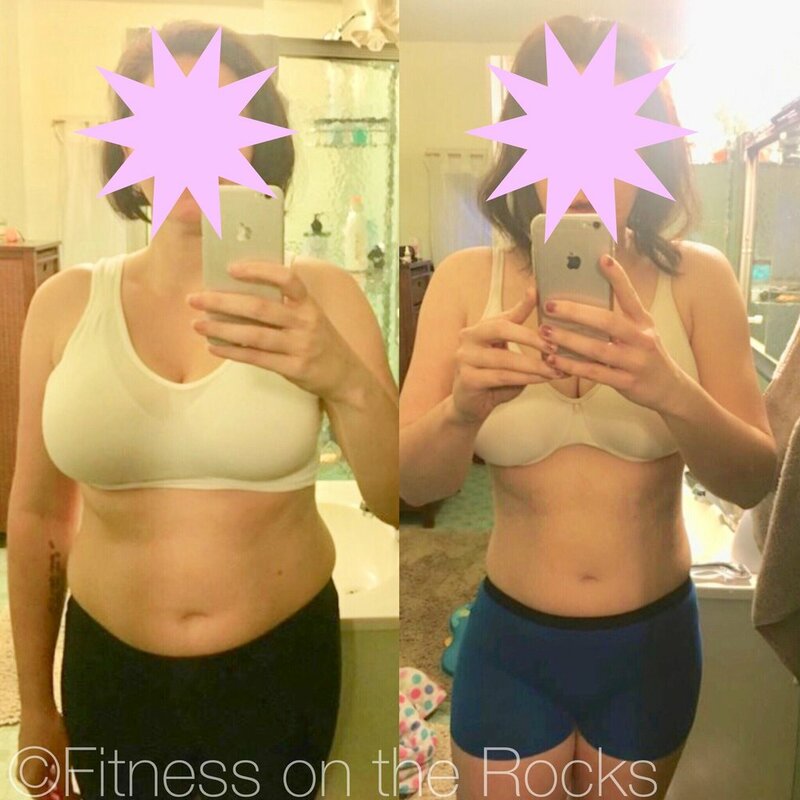 I found myself not losing any weight after the baby was born, with no energy to play with my two year old, making every excuse in the book to not exercise, and feeling really bad about myself. “In the last 9 years since I had my kids, I have never been able to really drop a pound. At age 38, I can gain weight like a champ. This plan has changed all that! “I have been struggling living on the road not knowing what to eat, how to work out properly, and I lost all control to my negative habits. 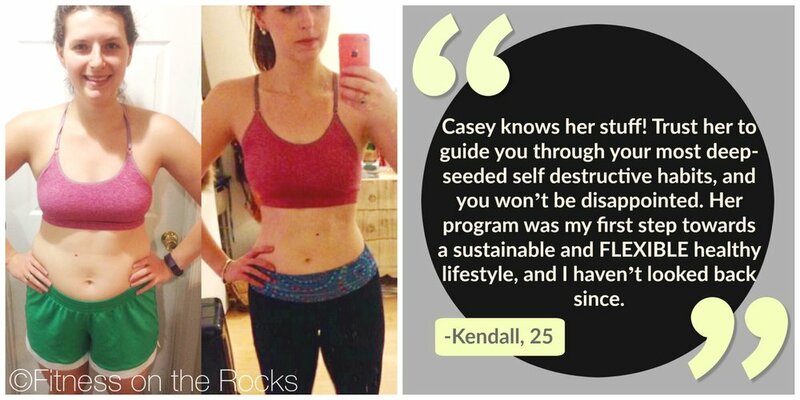 Casey gave me the confidence, strength, and knowledge to make the right choices. “In December of 2014, I had my son. He is adorable and wonderful, but I don’t think my body felt to same way. Casey is charismatic, knowledgeable and sincere. 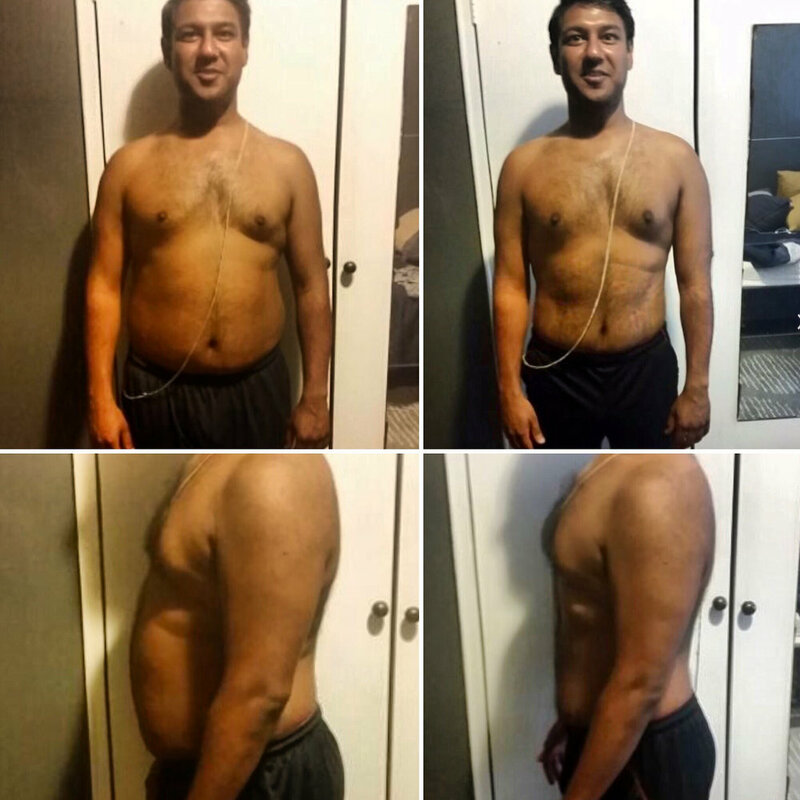 Upon meeting her, I immediately hired her to help me to change my eating habits, learn a few new custom workout routines and gain a better understating of how my body works and my personal nutrition needs.